The use of the National Security Act against five persons for alleged acts flouting laws protecting cattle in Madhya Pradesh is unwarranted. This is a brazen appeal to vote banks ahead of the Lok Sabha polls. The government in the state may have changed after the last Assembly polls, but little seems changed over cow-related issues. Such arrestsdetentions without bail using draconian anti-terror laws are, prima facie, undemocratic. The severity of any crime may be decided at the superintendent of police level, but the chief minister of the Congress, which made such a hue and cry over cow issues in the past few years and in the run-up to the Assembly polls, was silent about it. Silence is strange from a suave industrialist-politician who can't be unaware of the double standards involved. The BJP, the ruling party at the Centre, was never shy of disseminating its love for the cow as a key part of India's culture and vital element our rural economy, as Prime Minister Narendra Modi himself said on Monday. It's a moot point if this view, reflecting that of the majority, should extend to such forms of extreme protection as cow vigilantism. 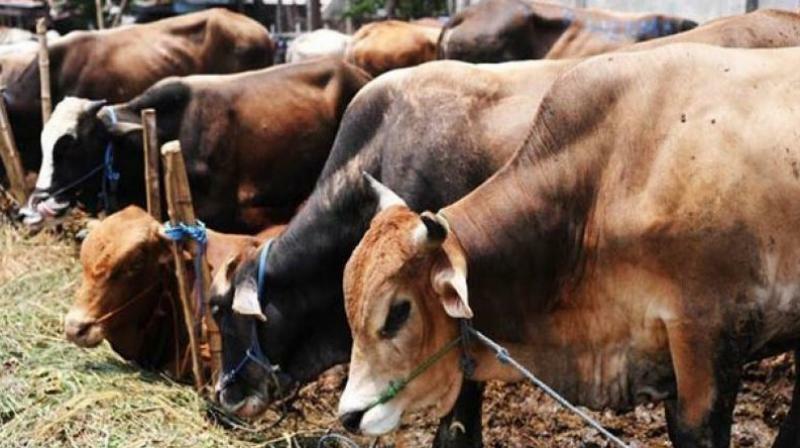 MP is a state where cow slaughter is banned, which means it can act to protect the animal. It's the excesses in terms of arresting those who transport cattle even for legitimate purposes that riles people who may see it as the imposition of majoritarian views. India's historical dependence on preventive detention, used freely in the 70-odd post-Independence years to curb political dissent, can't be a tool with which to beat offenders against cow protection laws too.